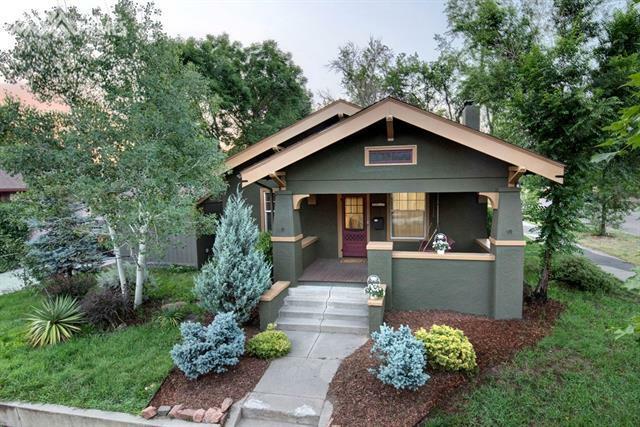 GREAT INCOME PROPERTY - Main House-Is a Handsome Renovated Historic 1920 Stucco Craftsman Bungalow filled with the integrity of it's original Historic charm. Over the detached garage is a Charming 1 BR, 1 BA apartment w/ Living & Laundry. Located just east of Downtown. Enjoy sitting on your Covered front porch during Colorado Summers, admiring the beautiful landscape & mature trees. The sea of warm Original Hardwood Floors will welcome you & guests into your cozy Living Room. Enjoy gatherings around your rustic fireplace. Selling Office: Re/Max Advantage Realty, Inc.